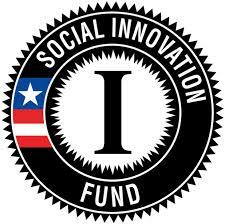 Using money provided by the federal Social Innovation Fund, combined with generous private investments, Nebraska Children is awarding 7-10 grants of $100,000 to $150,000 to rural Nebraska communities. These grants will enable communities to adapt our successful older youth system of care model to address issues facing runaway and homeless youth, young people aging out of foster care, or young people with experience in the juvenile justice system. Each grantee community will be required to raise a dollar-for-dollar cash match from a combination of unobligated non-federal public and/or private sources. Several communities have submitted the initial Letter of Intent and Community Readiness Questionnaire. Nebraska Children is now working with them to complete their final proposals, which they will submit via password-protected web portal by 5 pm CT on January 15, 2016. Federal guidelines prohibit us from discussing the subgrant directly with prospective subgrantees. If you have questions, please submit them using the form field below. We will compile questions, and issue regular answer sheets via this website.